What are Medicare Prescription Drug Plans or Medicare Part D? Medicare Prescription Drug Plans also known as Medicare Part D is an outpatient prescription drug plan (Part D) that is administered by private insurance companies that have annual contracts with Medicare, under rules set forth by Medicare. All Medicare Part D plans have a monthly premium, but it may be waived if you qualify for some form of government assistance. The average Medicare Part D prescription drug plan monthly premium in 2018 is $35.02 per month. Deductible – a plan is allowed to have a deductible as high as $405 in 2018. Some plans have a lower deductible, no deductible, or a deductible that only applies to certain tiers of drugs. You must pay 100% out of your pocket for your medications until you have satisfied your plan’s deductible. Initial Phase – in this part you will pay either a flat copay (like $5) or a percentage of the total cost (the plan’s contracted rate at the pharmacy) of the covered medication. The total cost of the medication is required to be tracked by the plan, and if the total exceeds $3750, then you enter the next phase. Most plans have 5 tiers that your drugs could fall into. It is different with each plan. Coverage Gap Phase – in this plan you will pay a percentage of the total cost of your medication. You will pay 44% for generic drugs and 35% for brand-name drugs. Some plans will cover limited medications through the Gap at the same cost as in the Initial Phase. You will keep paying at these rates until most of the total cost of your drugs exceeds $5,000. Catastrophic Coverage Phase – in this phase you will finally receive significant relief. 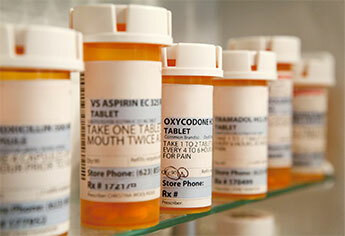 Your costs will be the greater of $3.35 copay for generic drugs, $8.35 copay for all other drugs, or 5% of the cost. And at the end of the year, you go back to the beginning and pay your deductible. Sound confusing? It is! We spend more time explaining how the prescription drug plan works than any other aspect of Medicare plans. All plans have a formulary which is merely a list of covered drugs. All plan formularies must meet minimum standards set by Medicare. All plans have a network of pharmacies you must use. There are other limitations such as prior authorizations and quantity limits, but these all vary by plan so be sure to read the plan’s Summary of Benefits very carefully to be sure the plan will work for you. Finding it difficult to pay for your medications? 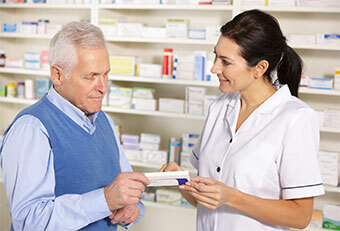 There are programs out there to help reduce the cost of your medications. One example is the Extra Help program. If you qualify, it could reduce or eliminate your deductible, pay for some or all of your monthly premium, eliminate the Coverage Gap (and Late Enrollment Penalty if that applies to you), and offer reduced copays or coinsurance. Want to find out if you might qualify? Insurance Options can help you complete an eligibility application and submit it to Social Security on your behalf. Usually, you will receive a response within a few weeks. As a Medicare Beneficiary, enrolling into creditable Medicare prescription drug plans is voluntary. However, if you do not and you go more than 63 days without a credible drug plan, Medicare will charge you a Late Enrollment Penalty. This penalty is payable at the time when you DO enroll into a plan. The penalty is 1% of the National average cost of a drug plan time the months you were without coverage. The penalty is calculated and added onto the monthly premium for your plan. Even if you have chosen to enroll in a $0 premium Advantage plan, you will be charged the monthly penalty. The penalty is payable for the rest of your life. VA drug coverage and some Employer Plans are considered credible and would waive the penalty. You will receive a letter from your plan asking you to verify your coverage to waive or determine the penalty. Our customer service doesn’t stop when your policy arrives in the mail. We’re there for you year after year because as your needs change, so too should your Medicare Prescription Drug Plans. We have met so many wonderful people in this community, and we look forward to meeting with you. Contact us today by completing our easy online request form or for the quickest response please call (239) 201-4560. Give us the opportunity to work for you-you’ll be glad you did! By calling this number, I understand I will be directed to a licensed insurance sales agent. This is a solicitation of insurance. By providing this information, you agree that an authorized representative or licensed insurance agent/producer may contact you by telephone, email or mail to answer your questions or provide additional information about Life Insurance or Final Expense Insurance plans.